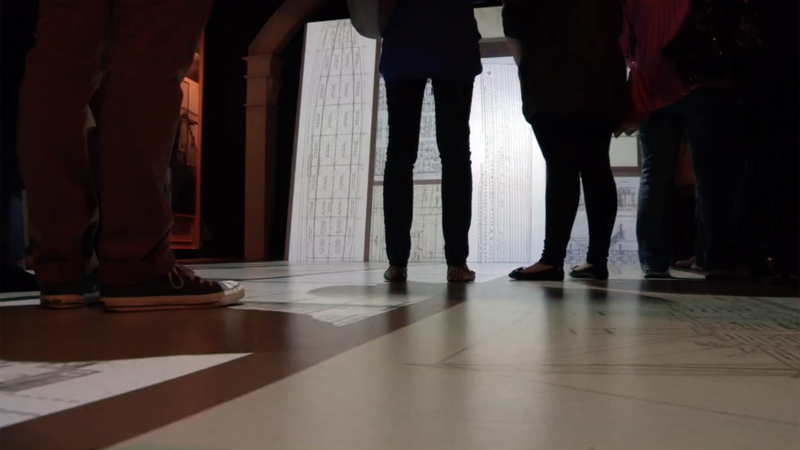 A large-scale interactive floor piece, produced with ISO for the Titanic Museum in Belfast. This technically complex work uses input from multiple overhead infrared cameras to track visitors’ position within the floor area. This position is used to drive the selection of media and control of AV playback. The entire scene is managed in realtime 3D and output to 3 HD projections making a single joined-up display. Multiple games are also implemented within the work.